For a reliable construction company in Wise County, look no further than PATH Services. For many years we have offered a wide variety of services including Metal Building Construction, Barndominiums, Driveways & Culverts, Fencing, Rock & Dirt Hauling, Demolition Contracting and much more! We continually strive to offer our great services at rates that are affordable. For a great service in Wise County give us a call! Click the Button Below to Like Us on Facebook & See More of Our Custom Bardominiums & Fences! If you need to construct a metal building, call on Path Services! We have many years of experience in construction, so we are able to complete any job we take on. Whether you want a workshop, warehouse, store, or home, our contractors work with you in order to build exactly what you need. 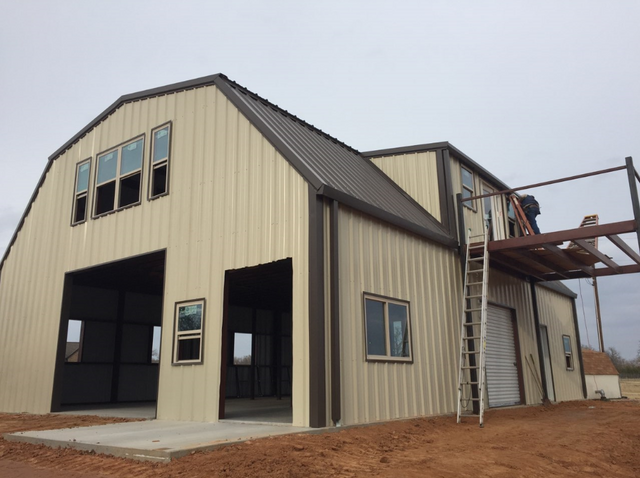 In addition, we also build barndominiums, which are barns or other metal buildings that have been converted to homes or shops. 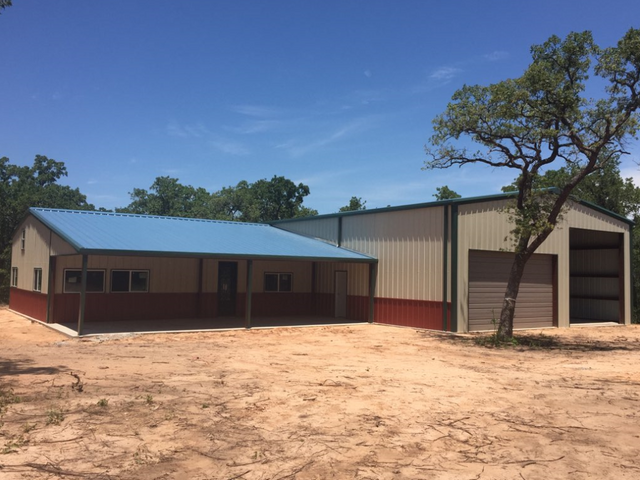 Metal buildings are our specialty, so you can rely on us when you need to construct one. We offer outstanding customer service, affordable prices, and quality workmanship that you won’t find anywhere else! For all sorts of metal buildings, call on us for your construction needs! If you are working on a construction project, debris can get in the way and prevent your team from working efficiently. Thankfully, Path Services offers rock and gravel hauling services! When you call on us, we will send out a driver to your location to remove and dispose of your rock, gravel, and other debris. We have the experience, machinery, and knowledge needed to handle any hauling job. Our dozers can get the job done in no time, and our team can remove any pile of debris at any work site. We offer our hauling services at affordable rates so that getting rid of debris doesn’t become more of a hassle than it already is. Don’t stress – call on us to haul away your rock and gravel! The phrase, “were you raised in a barn?” is becoming increasingly relevant these days with more and more people building barndominiums. This is a barn or other metal structure that has been converted into a house. Barns are no longer just homes for horses and cows – barndominiums are becoming popular as living spaces and shops! If you’ve been thinking of building a barndominium for yourself, call on the contractors at Path Services! We are the experts in construction, so we will be able to help you create the barndominium of your dreams! We work closely with you to make sure that we create the best design at the best price. Our contractors have many years of experience in constructing metal structures, so you can trust us to create something you will love. Chad and his crew did an awesome job adding a awning ( lean to) to my 60 x 40 barn. Looks as if the barn and the lean to was built at the same time. They are punctual ,detailed, and pricing is fair. I highly recommend Chad and his crew . We have used Path for gravel and dirt work on several occasions. They are a pleasure to do business with. They recently built a shop building for us on our property. The price was right and the end product reflected the pride they take in their craftsmanship. They’re honest, responsible and do an outstanding job. Highly recommend. I had some gravel and dirt work done on my property north of Decatur, Tx. A friend had recommended PATH to me and I was more than pleased with their service! They were prompt, prepared and did an exceptional job! The price was fair and supervisors were continuously checking in on the progress. I highly recommend these guys for anything you need. Path Services © All Rights Reserved.